We took the boat out for a shakedown trip this afternoon and it ran well. 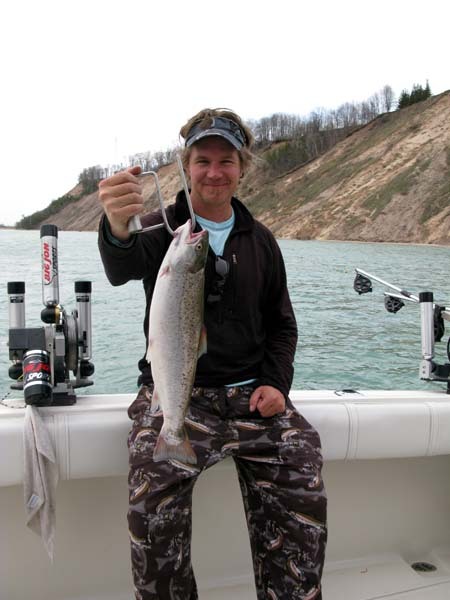 We fished for about 2 hours south of Ludington in 10 to 20 feet of water. One bite, one fish. The Brown pictured left took a F11 Perch Rapala off our outside board. Fishing has been slow so far this season but we are hoping the Brown bite picks up soon.